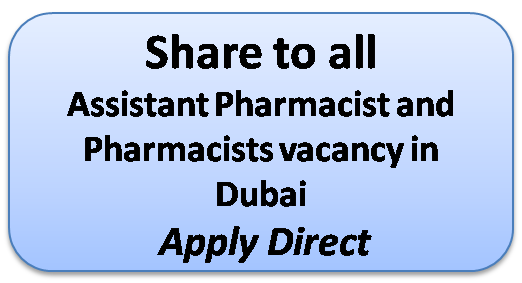 Anglo arabian health care is the fastest growing healthcare company in the UAE, with a number of vacancies and are looking for talented, ambitious Assistant and Pharmacists to join the AAH family. If you would like to apply for any of the positions, please submit your CV by sending an email to recruitment@angloarabian-healthcare.com. You may get full details here. The Pharmacist provides prescribed medications, drugs and other pharmaceuticals as needed for adequate patient care according to professional standards and practices. Ensures that patient’s pharmaceutical needs are effectively met in accordance with Ministry of Health regulations and Pharmacy Policy & Guidelines. If you like to know more and full details please find the link given in first paragraph, and apply direct.